On the heels of the successful Labelexpo, the Hop team reports that it experienced a 15% increase in booth traffic at Labelexpo this year, in comparison to 2017. More companies are turning to Hop-Syn synthetic paper for its diverse range of printing applications. Labelexpo attendees value Hop-Syn for tag and label applications using flexo and UV inkjet printing processes. At the Expo, Hop Industries featured several grades specifically the tag and label industry including the company’s flagship product, Hop-Syn XT, an extra tear-resistant substrate suitable for outdoor use, and Hop-Syn DL, an FDA-approved food- and medical-grade substrate for labels. Hop also featured Hop-Syn G3, a low-cost yet high-quality durable substrate for tags, and Hop-Syn G1 for easy folding labels. 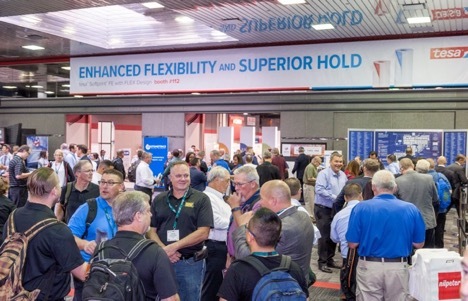 Free samples of Hop-Syn and free copies of Hop’s 2019 product guide were distributed to attendees at Labelexpo. If you were unable to attend event but would like free samples or more information, visit www.hopsyn.com or call 800-524-0757.